San Juan is becoming an incredibly popular tourist destination thanks to its rich history and beautiful beaches, along with its popularity as a cruise ship port. 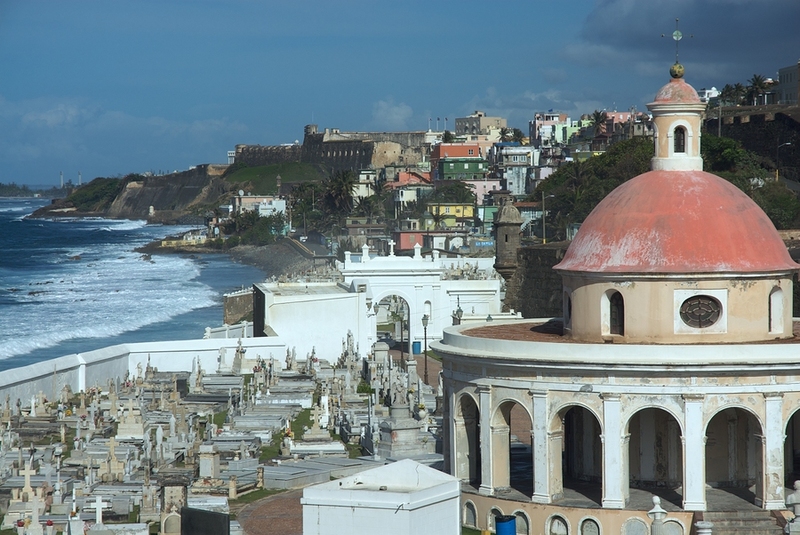 One of the most historic and beautiful areas of the city is Old San Juan. Give yourself plenty of time to simply stroll along the streets. The streets of Old San Juan are some of the most beautiful in the world, with cobblestones and flanked by stunning and colorful Colonial architecture. Give yourself plenty of time to simply enjoy these streets and the buildings surrounding them. When cruise ships are docked, Old San Juan is going to be much busier and more crowded but this isn’t necessarily a bad thing because there’s also more vendors and entertainers who set up shop, leading to a livelier street environment. Go dancing. Old San Juan is full of vibrant and exciting nightlife and much of this revolves around salsa dancing. You can find live music at so many venues and you can even get a dance lesson if you’re interested. Visit the Paseo la Princesa. This stunning promenade features the iconic central fountain the area is known for, and it’s also a breathtaking place to take in a sunset. The Paseo la Princesa runs along the perimeter of Old San Juan and it offers wonderful bay views. Explore the forts. San Juan is known for its historic forts and they’re definitely a can’t miss. These forts date back to the 1500s, and one of the most popular is the Castillo San Felipe del Morro, which was constructed by Spain to protect the coastline against attacks. It rises 140 feet above sea level and it’s an expansive structure featuring everything from dungeons to towers. This fort is part of the National Park Service and you can take advantage of guided tours to get the most out of your visit. Take a trip to the Cathedral of San Juan Bautista (San Juan Cathedral): This absolutely amazing cathedral is the second oldest in the western hemisphere, built in 1540. The famed Spanish explorer Ponce de Leon is actually entombed here and you can not only visit for sightseeing purposes, but there’s also daily Mass held here as well. Gallery hop. You may not associate Old San Juan with a thriving art scene, but it certainly has one. This area of the city is host to an impressive array of galleries so take the time to visit at least a few while you’re here. Shop the Puerto Rican Arts and Crafts store: If you want to shop there’s a mix of local shops and high-end retailers in Old San Juan but you shouldn’t miss the Puerto Rican Arts and Crafts store if you really want local flavor. This sprawling bi-level store is packed with everything from paintings to jewelry and it all has real San Juan flair.